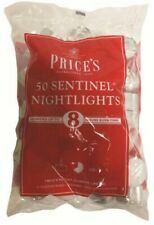 50 Prices Sentinel Nightlight Tealights. It made inexpensive stearine candles that burned almost as well as expensive beeswax candles and held 114 patents for its inventions. Later the introduction of mass production enabled Price's to dominate the nightlight market. New arrivals. Excellent Prices. High quality products at amazing prices. Hot Products. New Products. NEW ARRIVALS. Model Number: SMT002418. All orders dispatched within 24 hours. Cookware (5). Household (104). Special Features: Tea Lights. Chef's Jar. Buying toys online has never been easier, peruse around all of our deals and products and find the latest toys online. Candle Height : 83 mm. Candle Weight : 349 grams. Let’s Stay Connected! Model Number: SMT002418. All orders dispatched within 24 hours. Cookware (5). Household (104). Special Features: Tea Lights. ADD TO FAVOURITES. Item Weight: 141 g. ENDING SOONS. 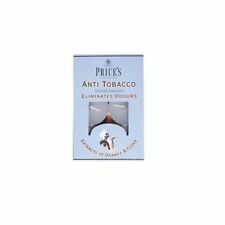 This candle from Price's help to neutralise unwanted odors especially when cooking. Candles are not just sources of natural light but are aesthetic, fragranced and highly designed objects in their own right. Candles are not just sources of natural light but are aesthetic, fragranced and highly designed objects in their own right. It made inexpensive stearine candles that burned almost as well as expensive beeswax candles and held 114 patents for its inventions. 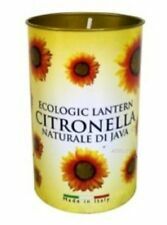 Eliminates Cooking Odours Scent. 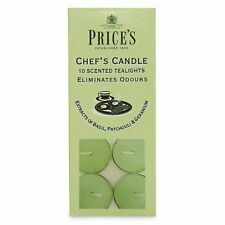 20 x Price's Chef's Candle Tea Lights Scented. The candles themselves containbasil, patchouli and geranium. Each scented tea light candle contains Odourfoyl. 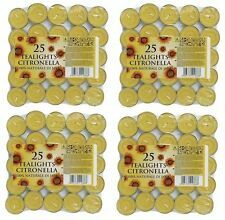 High Quality Genuine Prices Candles Product. 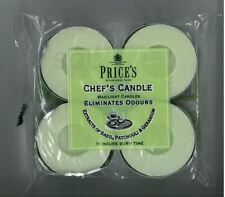 Chef's candles are Green with Basil, Patchouli & Geranium. Eliminates Pet Odours Scent. 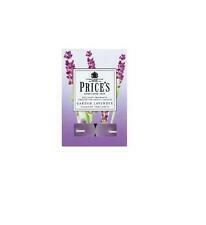 10 x Price's Household Tea Lights Candles Scented. 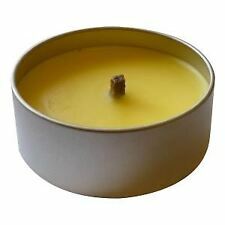 Each scented tea light candle contains Odourfoyl. Odourfoyl is a uniquely designed fragrance system, which effectively renders malodours undetectable. Fragrance: Rose. This will enable us to assist you more thoroughly with your request and to deal with any difficulties. Here at TCB Direct, we like to keep things as simple as possible for yourself. Help to neutralise unwanted odours especially when cooking. Prices Maxi Tea Lights. Includes 12 tea lights. High quality products at amazing prices. You won't find cheaper prices anywhere! We're rated 5/5 for service! Each approx size: H 2.8cm x D 6cm. 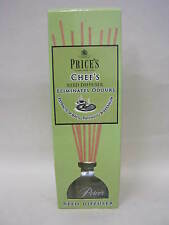 Price Fresh Air Chefs containing Odourfoyl to neutralise unwanted cooking odours with the pleasant extracts of basil, patchouli and geranium. Eliminates Pet Odours Scent. 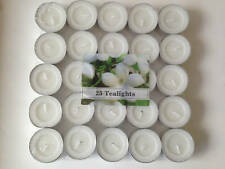 20 x Price's Household Tea Lights Candles Scented. Each scented tea light candle contains Odourfoyl. 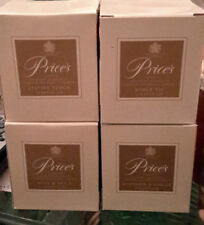 Prices Frosted Ivy Candle - Boxed.